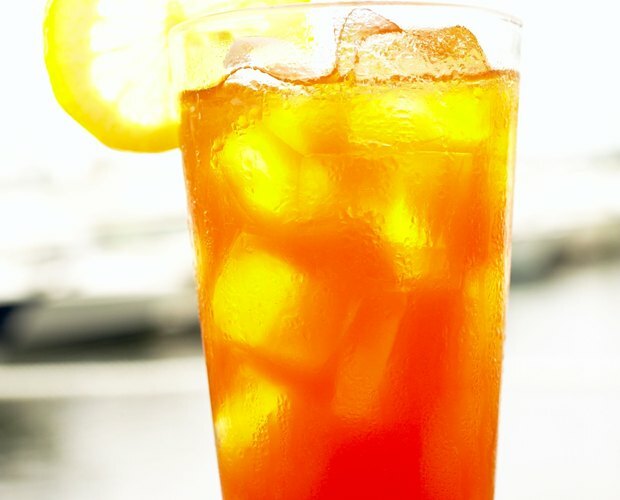 There's nothing quite like a glass of iced tea on a hot day. 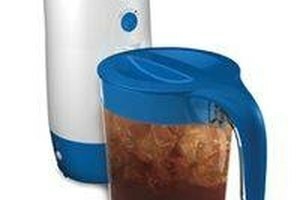 The Mr. Coffee Iced Tea Maker can be used to easily brew iced tea in less than 10 minutes. It can also be used to make iced coffee — follow the same directions for brewing iced tea but add 10 to 14 tbsp. of coffee grounds in place of the tea. Fill the Iced Tea Maker pitcher with water to the 2-qt. mark. Pour the water into the water reservoir on the top of the Iced Tea Maker base (the part of the machine with the power buttons). Fill the pitcher with ice cubes to the 2-qt. mark. Place the black steeping basket on top of the pitcher and set a paper filter inside the basket. Place the loose tea or teabags in the steeping basket. Cover the steeping basket with its lid. Slide the pitcher securely into position on the Iced Tea Maker base so the opening on the steeping basket lid is just under the top piece of the machine. Plug the cord into an electrical outlet and turn the machine on. The indicator light will illuminate. 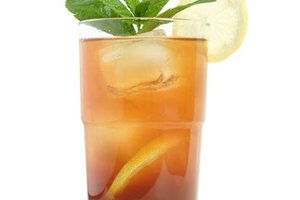 When the brewing cycle is complete, the ice tea maker will automatically shut off. Slide the pitcher away from the machine and allow the tea to drain completely from the steeping basket. Remove the steeping basket and discard its contents. Rinse the steeping lid and basket with water and set aside. Replace the lid on the pitcher and serve the tea. If desired, add 2 to 4 tbsp. of sugar to the filter along with the tea before brewing. When brewing loose tea, consider using two filters in the steeping basket. Place one filter into the basket and add the desired amount of tea. Fit a second filter snugly on top of the tea leaves. Brew as directed. These instructions are for brewing 2 qts. of iced tea. When the brewing cycle is complete and you remove the pitcher from the base, some steam may escape. Use caution to avoid burns.